I’m out of town this week, for my brother’s wedding! So, this is a quick update from the road. 19 years ago today, The Usual Suspects was released! Last year, the Partner in Crime and I watched this, for her first time, with a friend. 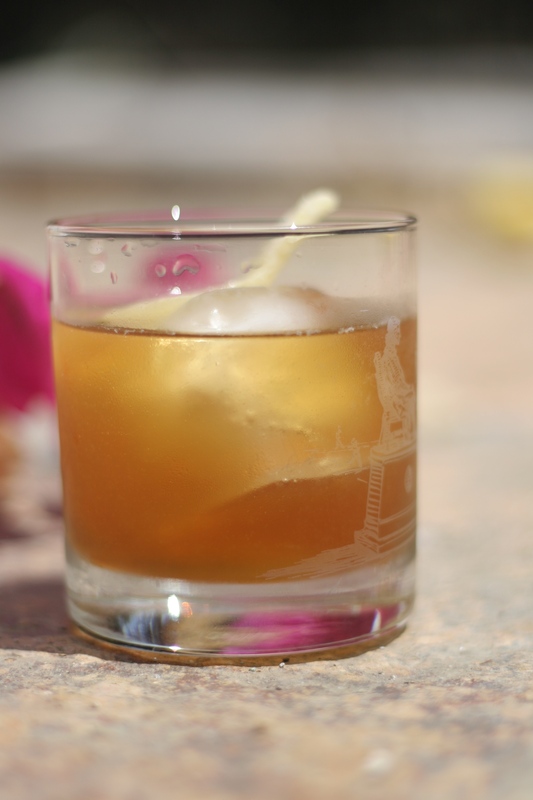 For that event, I made a drink (two actually, but the first was bad), and I’ve updated it and hopefully made it better for this year. It’s a little bit Japanese, but maybe not. It’s that sense of mystery that keeps it going. Just like the character in the movie! Or something. I was alone for this one, so apologies if the camera work isn’t as good. Also, I was the only one to taste it. Might it be horrible for anyone else but me? It certainly might. 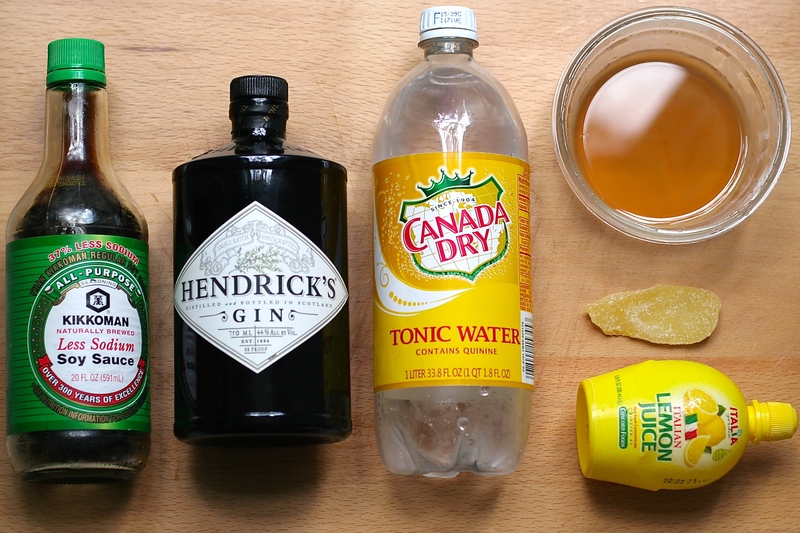 Put everything except the tonic water in a rocks glass with ice. 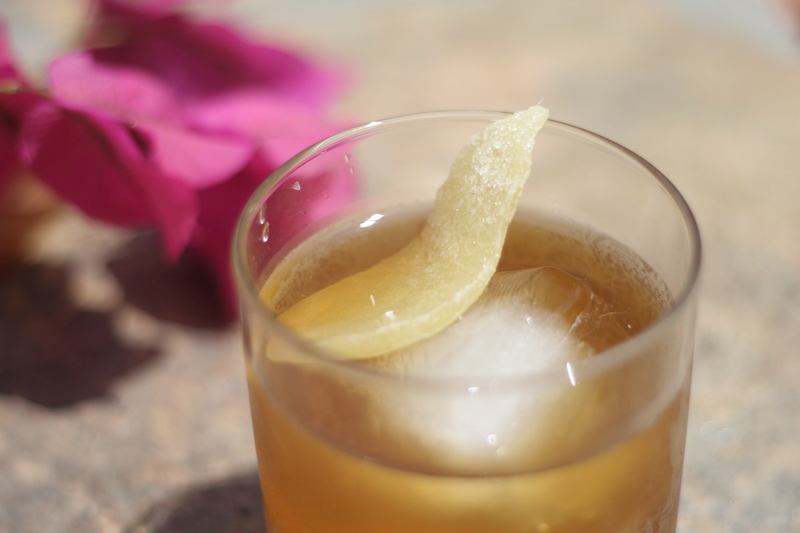 Fill up the glass with tonic, and garnish with the crystallized ginger! BN: This certainly had good flavors, but it was a little weird. However, I don’t really know if that was, say, the slightly flat tonic water (okay it was a little old, but I’m pretty sure it would be good with more fizz) or the fact that I don’t actually like gin… You’ll have to let me know what you guys think, because I’m not an impartial observer. Still, I think the flavors mesh well and it works overall. PiC: I wasn’t here. I didn’t drink this. STOP ASKING ME QUESTIONS.